Savings, Investing, Spending and Debt. Play the symbols of Euro, Dollar, Yen and Pound. Sort the US dollar banknotes rotating square picture. Drag and drop the jobs in the correct social class. Calculate interest rate online. Interest rate calculator. Avoud loans, mortgages, debts and ignorance. Arrange the British pound banknotes square picture. Sort out the EU euro banknotes square rotating picture. 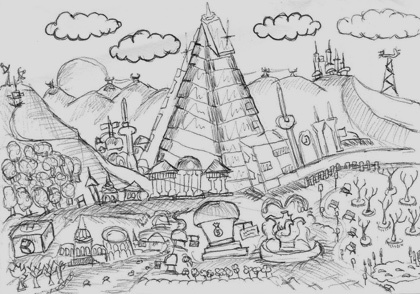 Free online learning games about economics. Economic games to explore and study the finances. More than 15 online games, related to different economic topics, that may be used for fun, interactive education and examination. 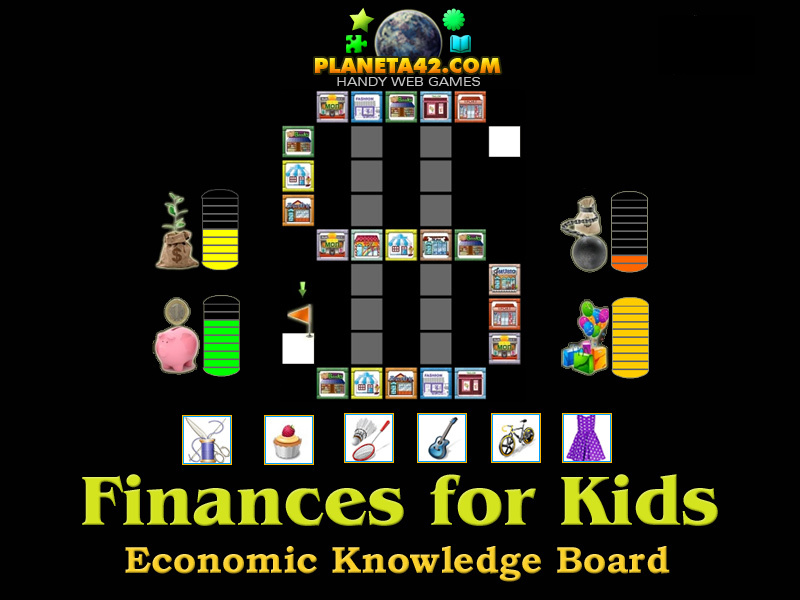 The economic knowledge games are small online games, up to 1 MB, which include puzzles, board games, mosaics and arcade games for learning basics of business and finances. 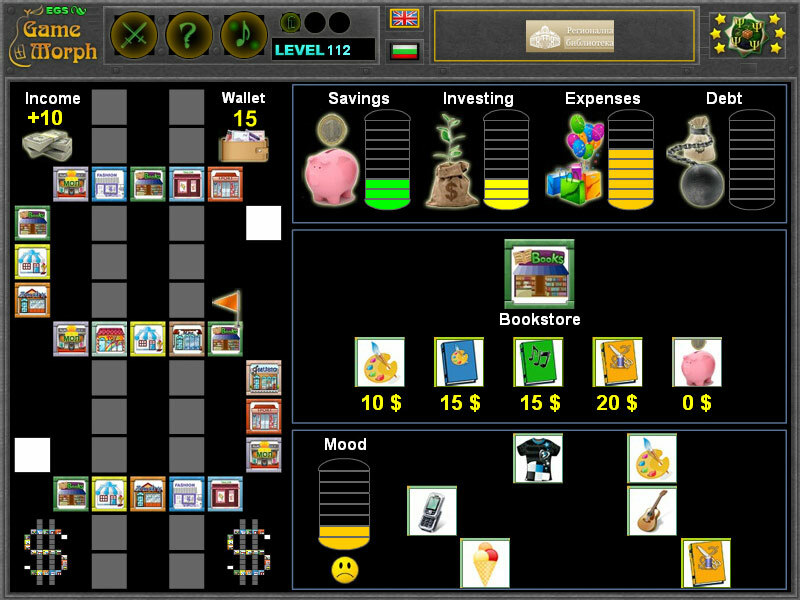 Variety of economic subjetcs, like currencies, coins, financial meanings and banknotes are made in a fun interactive way. The economics learning games are suitable tools for education, examination, references and recreation. They may be played in schools, at home, in classes. Economic Tree - Sort the economics properties on the tree of knowledge. Social Classes Puzzle - Drag and drop the jobs in the correct social-economic class. Coins Catch - Move with arrow keys and catch all US dollar coins. Finances for Kids - Can you reach the last square with no debt and good income? The 4 Currencies - Know the symbols of the four most common currencies. Dollar Puzzle - 40 pieces square rotating puzzle to reveal how the US dollar looks like. Euro Puzzle - Sort the picture with 5, 10 and 20 euro bills for Europe Union. Pound Puzzle - Arrange the squares to reveal how the Great Britain pound bill looks like. Yen Puzzle - Rotate the sqares to complete 3 Japonese yen bills back and front. Yuan Puzzle - 5x8 standard square rotating puzzle with the Chinese bills. Ruble Puzzle - Sort the puzzle to reveal hou the Russian ruble looks like. Lev Puzzle - Complete the picture to see how the BG lev looks like. Interest Rate Calculator - Calculate interest rate online. Virtual interest rate calculator. Passives - Move with the mouse and avoid loans, mortgages, debts and ignorance, which represent undesirable personal finances, called Passives. Actives - Move with the mouse and get investments, savings, property and knowledge, which represent desirable personal finances, called Actives. The "Interactive Economics Marketplace" is a free online education web site with short games, tests and puzzles played online in the web browser. All games are free and run on medium class computers, tablets and laptops, with installed flash player. They reward +1 Knowledge Level for every won game. 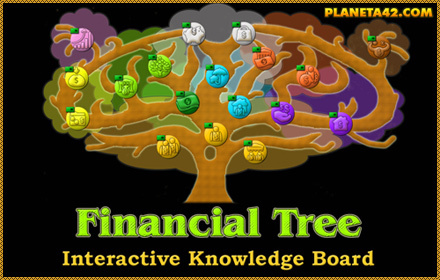 Fun economic educational games, suitable for e-learning, online lessons and interactive classes. The collectible economic games (download versions), goes with build in player, but the levels are not saved on the website. Educational Multimedia Economics for all ages. Free to play and download without registration. Fun economic, business and finance games. 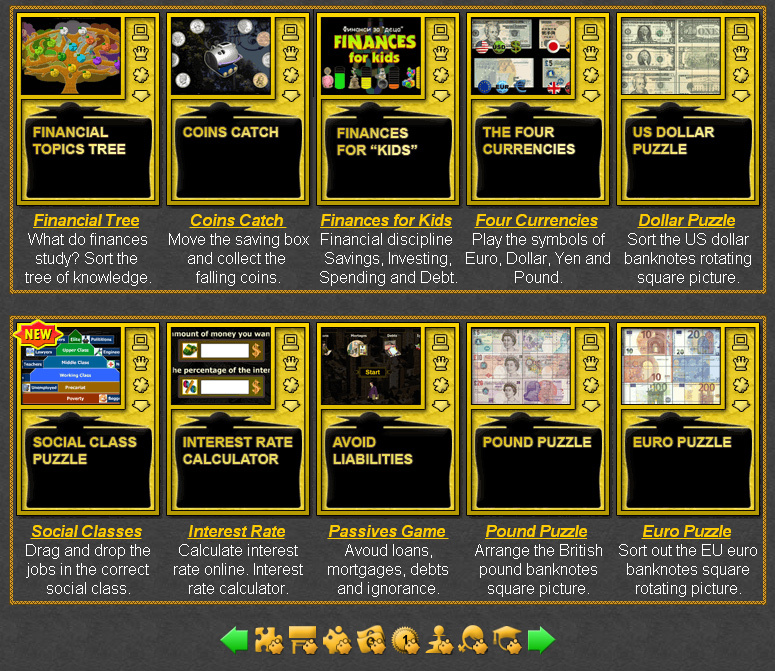 Economic Puzzles - This collection includes fun economic games to drag and drop pictures about the world of finances. Economic Classroom Games - This collection include economic learning games suitable for interactive lesson and classroom exercises about economics and finances. Finance Games - This collection include all fun economic games to learn about actives and passives, and financial discipline. Economic Coin Games - This collection include fun online economic games about the coins of different currencies. Banknote Puzzles - This collection include exciting 5x8 pieces puzzles with the banknotes and bills of popular country currency to know about. Economic Board Games - This collection include online learning economic games played on a board to reach from one end of the board to another and study business and finances. Economic Games for Kids - This collection include all economic educational games suitable for kids and pupils in 4-8 grade. Interactive Economic Learning for Kids. Economic Games for Students - This collection include all economic educational games for 9 grade and above, suitable for students and adults. Interactive Economic Learning for Students. The Interactive Economics Marketplace include: unblocked economic games, best finance games, high school economic games, fun learning finances games, fun educational economic games, online learning economic games, online educational games for currencies, fun school games business and economics, online school games, free educational games, economic classroom games, free learning games, economic board games, free school games, econoomic lesson games, fun finances games, online economic games, economics class games, educational economic games, interactive online classes for finances, interactive economic knowledge boards, interactive finances classes, financial tests, online tests, online economic tests, and more than 15 online games, related to different economic topics, that may be used for fun, interactive education and examination. Here is the blog with the Exciting Collection of Economic Games.